How Much Weight Would You Like to Lose Before Summer? Shaklee 180 Are You Ready? Summer is coming up. Sooner than we think. And I am like a lot of people – I would feel a better if I was a few pounds lighter when it shows up. I like summer because it is bright and sunny. And while no one is going to be seeing me at the beach in Speedos, I want to be wearing cargo pants and a t-shirt and not have to think that it would be nice to be thinner. So now is the time to make the commitment – start now and over the next few weeks I can lose that extra weight. My goal is to lose 20 pounds before the 4th of July. I know I can do it. It just takes the effort and the right program. What about you? How much weight would you like to lose before summer? Be honest and realistic and public Post your goal in the comments below to let everyone know. Of course we won’t report on your progress but you can come back and update us as you work towards that summer goal. Click here to learn more on our Shaklee 180 web site. This entry was posted in Healthy Lifestyle, Weight, Weight Loss, Weight Management and tagged healthy nutrition, Shaklee 180 on April 3, 2014 by Tom Leonard. This is the promised email and photo from the 26 year old son of Connie McFarren, a wonderful first level of mine. 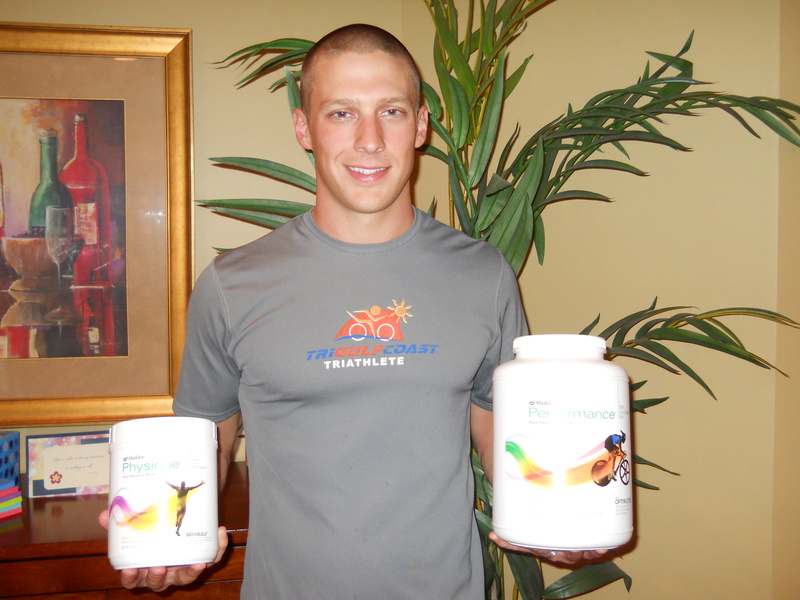 I have known Brandon since he was born and he has been a faithful consumer of Shaklee nutrition his whole young life. I am still using Physique and Performance with all of my training. I just competed in Ironman Florida this past November in Panama City. Ironman is a 140.6 mile triathlon ~ 2.4 mile swim, 112 mile bike, and a 26.2 mile (marathon) run. I trained all year for this event and it went off without a hitch. I completed the race in 11:58:07. My goal was 12 hours – so I finished right under my goal. Physique and Performance were KEY to my regimen. I used Performance out on the course – not only during all of my training, but also during the race itself. I used Physique after my long 5 hour bike rides on Saturday mornings – as well as the “shorter” workouts during the week. Jennifer ( his wife) and I are continuing to use our Vitalizer strips (faithfully) – though she seemed to get through her last batch faster than I did :-). This entry was posted in Fitness, Healthy Lifestyle, Nutrition and tagged healthy nutrition on March 9, 2013 by Tom Leonard. Last week I shared with you a study suggesting that junk food makes you sad. 10.1111/bjhp.12021) the answer may be yes. A team from the University of Otago in New Zealand enrolled 281 young adults (average age = 20) in a study that looked at the effect of diet on their mood. Each day for 21 consecutive days they recorded their mood and what foods they ate using an online questionnaire. In particular, they reported the number of servings of fresh fruit and vegetables and of several unhealthy foods such as biscuits or cookies, potato chips or French fries and cakes or muffins. The investigators correlated the foods eaten with the moods reported by the participants on the same day, and again on the day after those foods were eaten. The results were pretty impressive. While I paraphrased the “apple a day” quote to introduce this topic, one apple won’t quite do it. According to this study it takes about 7-8 servings of fruits and vegetables to positively affect mood. Of course, any good scientist will tell you that correlations do not prove cause and effect. It could be that when people are “down in the dumps” they just naturally reach for junk foods rather than fruits and vegetables. However, since there is no downside to consuming fruits and vegetables, I feel fully comfortable recommending more fruits and vegetables in our diets. If their health benefits aren’t enough to motivate you, maybe the possibility of improving your mood will! There are some things we just can’t control. We can’t do anything about the cold, dark days of winter. And to paraphrase those country songs, we can’t keep our girl and dog from running off. Life happens to all of us. But, if we want to keep our mood where it should be, we can always reach for those fresh fruits and vegetables. P.S. Now Available For Immediate Shipping: The “180 Lifestyle Program” – a comprehensive lifestyle change program that you can use to support all of the 180 Turnaround customers that you will be working with as your 180 parties start getting results. Visit http://www.socialmarketingconnection.com to grab this valuable new tools to support your 180 business. While you are there, you can also check out the many benefits that you will receive when you sign up for my VIP program. This entry was posted in Fitness, Healthy Lifestyle, Nutrition, Weight Management and tagged apples, diet, health food, healthy nutrition on March 9, 2013 by Tom Leonard. Tips From The Professor: Can Foods Make You Blue? You probably already know that the S.A.D. leads to obesity and a whole host of diseases – including heart disease, cancer and diabetes – just to name a few. But did you know that the S.A.D. could make you sad? That statement is based on a study by Akbaralay et al (British Journal of Psychiatry, 195: 408-413, 2009) in which they looked at the dietary patterns and mental health outcomes of 3486 participants in the Whitehall II Prospective Study. In case you didn’t know it, Whitehall is the central district in London where most of the British government offices are located. So the 3486 participants in this study were bureaucrats. They were middle aged (average age 55.6 years old) office staff (74% men, 26% women) who spent most of their day sitting and really didn’t like their jobs very much. At the beginning of the study the participants were given a 127 item food frequency quiz to fill out. Interestingly enough, the food preferences of the participants in this study clustered neatly into two groups. The diets of the processed foods groups predominantly consisted of sweetened desserts, chocolates, fried foods, processed meats, refined grains and high fat dairy products. In contrast, the diets of the whole foods group consisted mostly of vegetables, fruits, fish and whole grains. 20 item standardized depression scale. The reasons for this astounding correlation between diet and depression are not clear. The thing for you to remember is that, while we don’t know the exact mechanism, it is pretty clear that a processed food diet can lead to the blues down the road. And, as the authors pointed out, the processed food diet in this study is pretty close to what most Americans are eating. So it is safe to say that the Standard American Diet (S.A.D.) can make you sad! So keep your spirits up with a healthy diet. P.S. 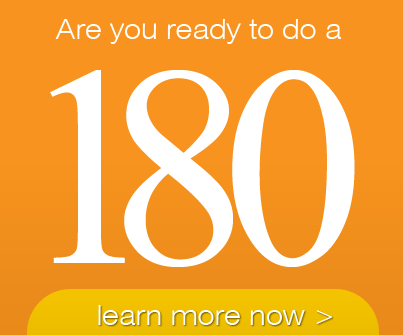 Now Available For Order: The “180 Lifestyle Program” – comprehensive lifestyle change program that you can use to support all of the 180 Turnaround customers that you will be working with as your 180 parties start getting results. Visit http://www.socialmarketingconnection.com to grab this valuable new tools to support your 180 business. While you are there, you can also check out the many benefits that you will receive when you sign up for my VIP program. This entry was posted in Fitness, Healthy Lifestyle, Nutrition and tagged health food, healthy nutrition on March 9, 2013 by Tom Leonard. Click here for more information and to purchase Shaklee Fiber Advantage Bars. This entry was posted in Nutrition, Products, Supplements, Video, Vitamin Supplements and tagged bars, fiber, fiber advantage, healthy nutrition, Products on August 13, 2010 by Tom Leonard. I am an Independent Shaklee Distributor based in Southern California. Shaklee has been in business for over 50 years – since 1956. Their selling program of selling directly to their customers through Independent Distributors is a proven model that works. Instead of paying for wholesalers, retailer, and advertising, the profits go directly to the Distributor building their busines. 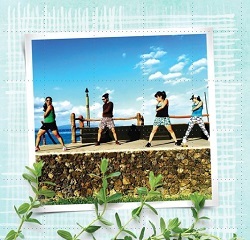 First, Shaklee products are great to use, to live a health life and to live in a green environment. I know this because I have personally been using Shaklee products for almost 20 years now myself and can tell the difference. Secondly, you don’t have to develop your own business in order to purchase their products. If you want to just be a consumer – and we encourage you to try out the products for yourself – you can join as a Member and receive the Member Discount of 15% on all of your purchases. Third, if you do want to buuild a business you can choose how it will work best for you. There are many Distributors who want to earn a few extra dollars each month and know that the extra $300 or $500 or even $1,000 each month can make a difference in their lives. Fourth, on the other hand if you want to build a large, profitable, and successful business, Shaklee gives you the products and the tools to make it happen. I know some of the top Distributors in the company and they enjoy an incredible lifestyle because of their work over the past 30 years to build their business. So I know it can happen. Lastly, it all depends on how much work you want to do. As with most things in life, there is not such thing as a free lunch. If you work hard with Shaklee, you can earn the rewards. One story that made it clear to me was hearing from one successful Distributor that she was giving herself a $20,000 a year raise each and evrey year by building her Shaklee business. Just think of asking for that raise at your regular job! If you want to know more, check out our Shaklee site. We invite you to get started today and let us know of any questions that you might have. We are here to help! Thanks for taking the time to check out our blog. This entry was posted in Business Opportunity, Healthy Lifestyle and tagged healthy living, healthy nutrition, introduction, shaklee on April 3, 2010 by Tom Leonard.